While I'm in New York, I've asked my favorite bloggers to guest post, the first is a tutorial from Pugly Pixel. Hi everyone! Margaret graciously asked me to write a post while she's out of town and as a long time fan of Paper Pastries, I was delighted. My name is Katrina and I blog at PuglyPixel where I share my snapshots and latest enthusiasms. Lately, I've been exploring the wonders of Photoshop -- and stumbling upon new tricks and learning new techniques that can visually improve my blog. I share all my discoveries as tutorials and free clip art. When away from my computer, I'm usually out taking pictures, walking the pups, visiting Japantown, or fulfilling orders for my Etsy shop. I sell pretty packaging knick knacks and I like to make my own thank you cards to attach to every order. The following photos show the latest incarnation of my thank you cards. 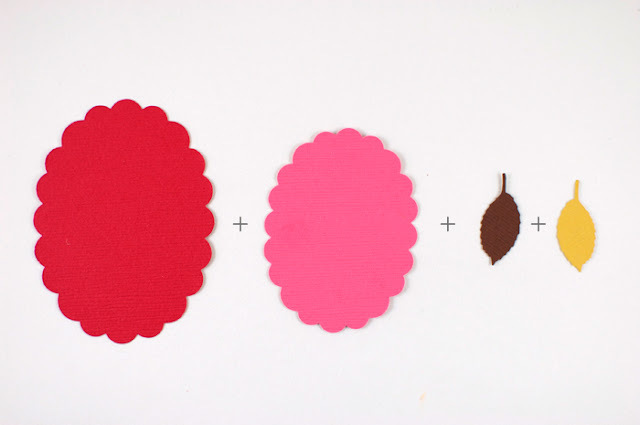 As you can see, these are a cinch to make, and I thought it would make a short and sweet DIY tutorial. 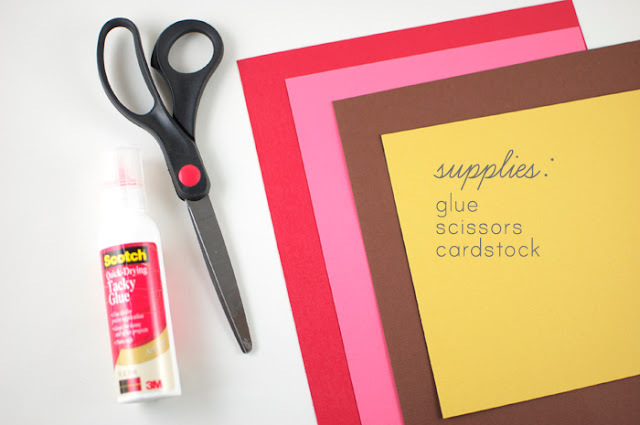 You'll need some card stock (4 colors), glue, scissors. You'll need a few punches, too! I used three different punches in this tutorial. 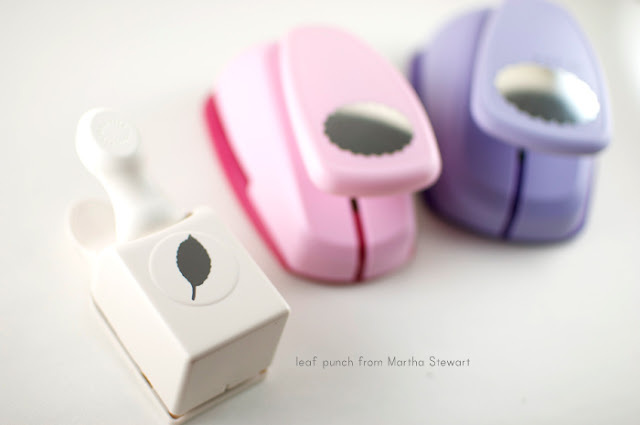 The first is a leaf punch by Martha Stewart. The other two are oval scallop punches by Marvy Uchida. 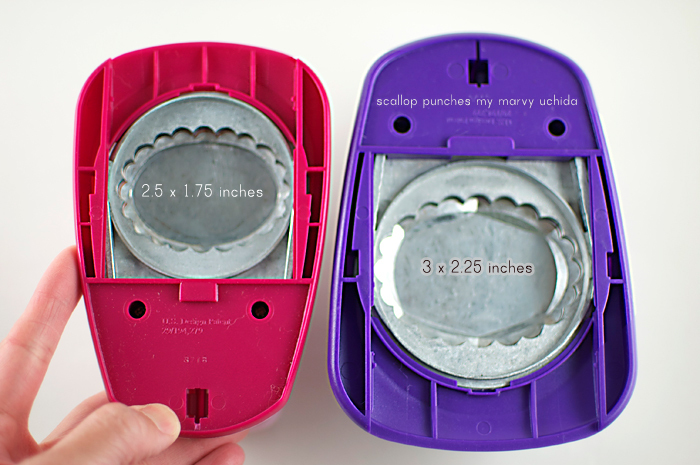 You can use any punches, but just make sure they are two different sizes. Step one: punch each card stock with each of the three punches. Step two: Match the scallop ovals by shade (pink/red or brown/yellow) and glue those together. Step three: Avoid too much matchy-matchy. 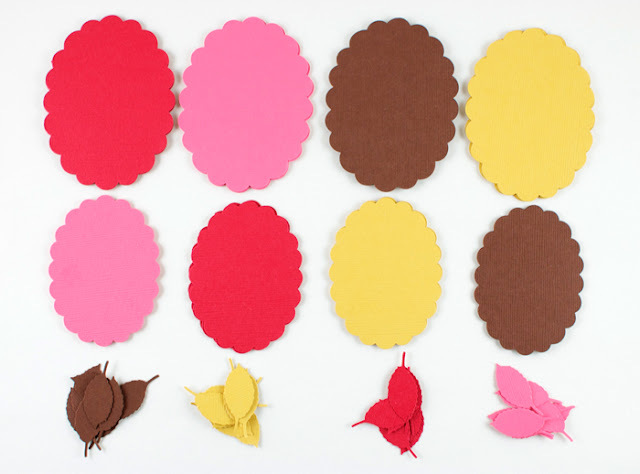 Afix the brown/yellow leaves with the red/pink ovals and vice versa. Add your personalized note and presto -- you're done! 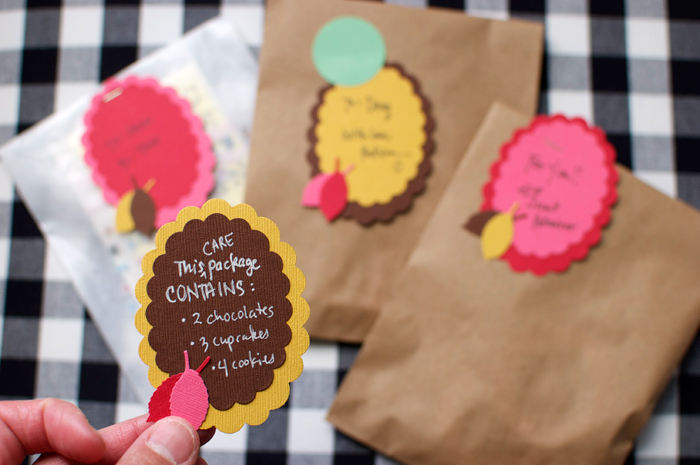 You can staple the card onto the package, or you can use a cute circle sticker. Thanks so much Katrina! Isn't this a great tutorial? I definitely want to make some tags when I get home. 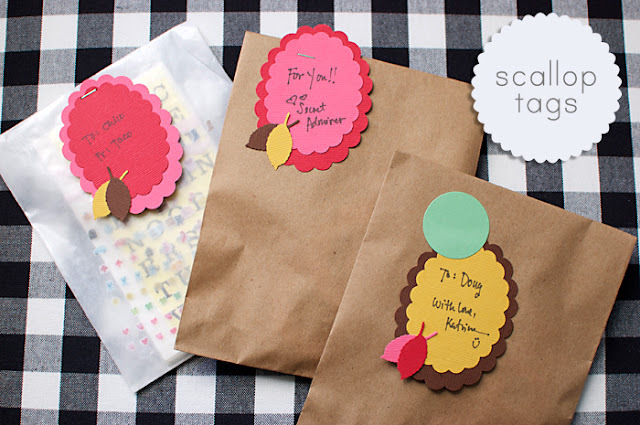 Check out Katrina's shops, and her blog. She always comes up with the most brilliant ideas, and she hasn't disappointed!! This is great! Thanks Pugly Pixel ! love Katrina! this is adorable. I need to save up for some punches!! are you kidding me with those cute leaves?? so fun! katrina's work is so beautiful! so happy to see her guest post on your blog! oh i LOVE these Katrina!! !